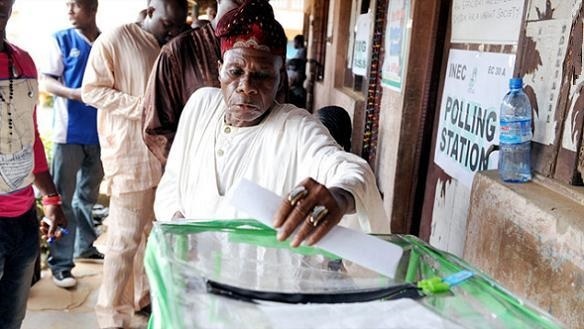 As the countdown to the 2019 general elections has begun, Bounce News looks at the things every eligible voter must get done. In few months, Nigeria will once again get the opportunity to elect their leaders. As the general elections draw nearer, it is paramount that all eligible voters fulfill all righteousness in order to stand a chance of exercising their constitutional rights. The Chairman of the Independent National Electoral Commission (INEC), Mahmood Yakubu, says the commission had 74 million voters in its register by the second week of January, but only 2,786,405 Nigerians have registered so far. According to him, the presidential and National Assembly elections have been fixed for Saturday, February 16, 2019, while the governorship/state assembly and federal capital territory area council elections will hold on Saturday, March 2, 2019. The 2010 Electoral Act (as amended) mandates the Commission to carry out CVR nationwide and to make available to every political party within 60 days, after each year, the names and addresses of each person registered during that year. In pursuance of this requirement, the Commission has developed the modality for the conduct of the Continuous Voter Registration (CVR) exercise nationwide. The date for the commencement for the CVR exercise was Thursday, 27th April, 2017 at the INEC Local Government offices nationwide and remains continuous all year round. Temporary Voters Card (TVCs) will be issued to registrants at the point of registration, while the PVCs of those registered in Quarter 1 (Q1) should be ready for collection in Quarter 3 (Q3), and Quarter 2 (Q2) will be ready in Quarter 4 (Q4). The last week of each quarter will be for display, hearing the claims and objections and housekeeping, such as data backup, consolidation, reporting. In Nigeria, the constitution stipulates that elections should be held not earlier than 150 days and not later than 30 days to the end of the incumbent’s tenure. Professor Yakubu Mahmood, decided to fix the date for national elections every third Saturday in February of an election year and state elections two weeks afterward.